On Saturday, December 20, service providers, homeless and formerly homeless people, religious leaders, and concerned citizens will honor the lives of nine individuals who died either while homeless or who were recently housed this past year. Five homeless advocates will also be remembered. The Candlelight Vigil will be held at Interfaith Sanctuary, 1620 W. River Street from 7 – 8 pm on Saturday, December 20. Hospitality will be provided at Corpus Christi Day Shelter, 525 S. Americana Blvd. immediately following the service. The interfaith program will include prayers, readings, and music from various faith traditions. 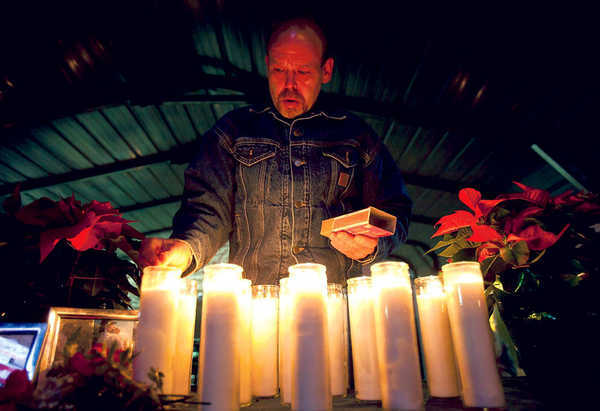 The annual memorial observation is a tradition among Boise community service providers and is held in conjunction with the National Homeless Persons’ Memorial Day traditionally held on or near December 21st—the longest night of the year. Boise is one of more than 175 cities nationwide to observe the memorial. The Vigil is sponsored by Interfaith Sanctuary Housing Services, Corpus Christi House Day Shelter, Mosaic Street Ministries, El-Ada Community Action Partnership, and CATCH, INC. and is open to the public. For more information email info@interfaithsanctuary.org.